Florida’s largest Pride celebration is back and turning the volume up for the world to hear as it takes over the streets of the Grand Central District June 24-26. While St. Pete Pride will be pulling off another celebration on the gulf coast, they will also have their eyes on 2022. The year will mark the 20th anniversary of St. Pete Pride and is the year they are bidding on World Pride. So while no formal bids have been submitted, three cities have sent letters of interest to host; St. Petersburg, Copenhagen and Las Vegas. If chosen, St. Petersburg would become only the seventh city to host WorldPride, and only the second in the United States. The first WorldPride in the U.S. will be in New York City in 2019 held in conjunction with the 50th anniversary of the Stonewall Riots. While no one from InterPride, the organization behind WorldPride, will be in attendance this year in any formal capacity, that doesn’t mean they won’t be paying attention. The details are scarce at this point, and nothing will be finalized until the official bid is completed, but Skains has an idea of what St. Pete Pride would like it to be. “So we know these events will all take place during this WorldPride span of what we’re looking at now to be about a 14-day span in June in 2022,” he says. Skains hopes to make WorldPride more of a collection of events than just one set event. St. Pete Pride has also spoken with several museums in the area about featuring LGBT exhibits and reached out to organizations in the Bay area about hosting several events. Along with showcasing the Tampa Bay area, St. Pete Pride will be organizing the bid based on the specifications set by WorldPride. St. Petersburg hosting WorldPride would likely draw larger crowds for what is already the largest Pride celebration in Florida. Those kinds of numbers most likely wouldn’t continue on through the years after the WorldPride events, but Skains hopes what will continue is the legacy of what they put together. “When we bring everything together, if we bring the film festival and we bring in some kind of sporting event, we hope to continue that on after WorldPride. We don’t want to just do it as a one-time thing and then we are done. We want the people who attend every year to benefit from it,” Skains says. Being a part of an elite group of cities who host WorldPride would not only boost the visibility of St. Pete Pride but also the view of the city as a whole. “I think it’s going to be something that gets the city, and the area, recognized,” Skains says. “We literally travel the world promoting Pride; we are out there and we are bringing people in, telling them come here to St. Petersburg and see us, and it’s more than just sending magazines to people. Miguel Fuller has known, even as a young child, who he really was inside, and he wasn’t going to let anyone tell him any different. Locking himself away in his room, Fuller knew he was destined to be on the radio. That fascination led him to pursue a life on the radio, which brought him to the Tampa Bay area a little more than a year ago to become the host of his own morning radio show named The Miguel Show. Every weekday morning, Fuller and co-host Holly O’Connor talk about everything from pop culture to guilty pleasures to their personal lives, being as open and authentic with the audience as they are with each other. The Will & Grace persona they have on the radio comes from a nearly 10-year friendship that has had them seeing each other through marriages, pregnancies and boyfriends. “I have friends who have been in radio for a lot longer than I have, and they talk about how they use to have to change the pronouns of their partners when they were on the air, and when people would see them out in public they would have to walk away. I couldn’t imagine having to deal with that,” Fuller says. The ability to be out and proud – not only with people at work, but with his audience, too – has given Fuller a large voice in Tampa Bay that has gotten him recognized by the community, and St. Pete Pride. 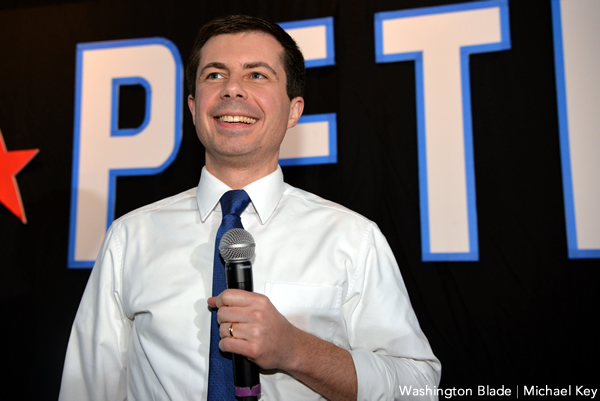 “To me [being named a grand marshal] feels like a pat on the back for being true to myself and for always being sort of a voice for the gay community without trying to be a spokesperson. I always say this whenever I talk on the radio: I never want to be the spokesperson, because I can’t speak for everyone, I don’t have that authority to, if anyone does. But all I can do is speak from my heart and my experience,” Fuller says. When you have a large organization like Equality Florida, with all its people and parts moving so efficiently together, it can sometimes be difficult to pick out one piece of the machine to recognize their accomplishments. The fact that the community was able to single out Anastasia Hiotis, known by Annie to her friends, speaks to the hard work and dedication she has in the fight for LGBT equality. As the chief operating officer of Carlton Fields, a national law firm based in Tampa, Hiotis has championed for equal rights mainly by being open with whom she is at work. Shortly after coming out at work, Hiotis began to work with Equality Florida. Equality Florida helped expose Hiotis to a different group of people than she had never met before. Ed Lally, Equality Florida’s Tampa Bay development officer served as a great mentor for her. “He’s like Mr. Professional Fundraiser, so I sort of cut my teeth with him in the process, and it’s just been a lot of fun getting people to recognize what the mission of Equality Florida has been and getting them involved in the process,” Hiotis says. Even with all the work Hiotis has done in the community, being selected as one of St. Pete Pride’s grand marshals still came as a surprise. At 23 years of age, Lucas Wehle is the youngest person selected to be a grand marshal for St. Pete Pride, and as a transgender male, this year may be the most important year for him to be recognized. As of the end of May, 13 transgender women have been murdered in the U.S., and the national spotlight has been on the issue of what public restrooms transgender people should be allowed to use. Wehle knows a little bit about transgender education. 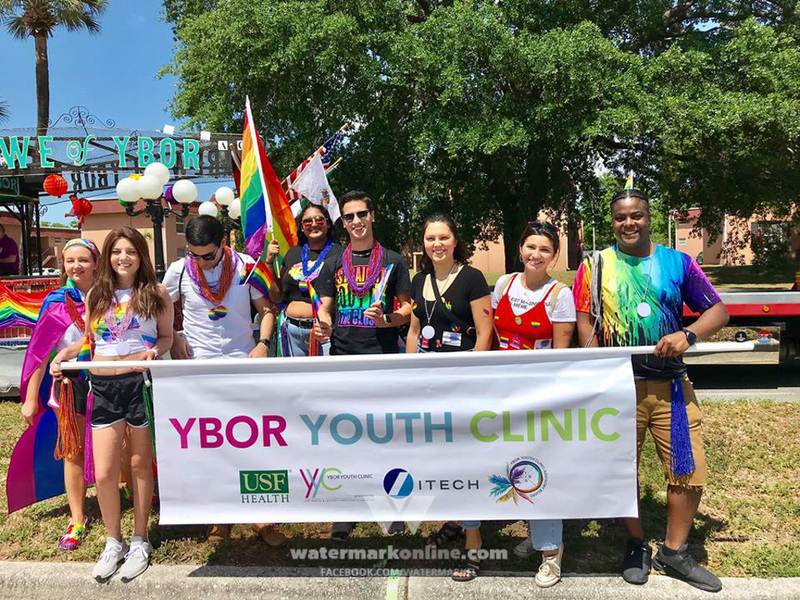 Since graduating from the University of South Florida in 2015, Wehle has been the Trans and Youth Coordinator for Metro Wellness and Community Centers. Wehle grew up in conservative Plant City, and first came out as a lesbian in high school before realizing that he was actually transgender. “I was super involved in church, and when I came out I just got that all pulled out from underneath me and I wasn’t allowed to go to that church anymore, I was literally told that I couldn’t come around, and I did everything in that church, you know, and all those people were my family. And my immediate family did not accept me either,” Wehle says. Wehle came out as trans five years ago when he was a sophomore at USF and got involved in P.R.I.D.E. Alliance and the Trans+ Student Union. His activism in LGBT rights, specifically trans youth, led him to be one of the most valuable assets at Metro and led him to be selected as a grand marshal at this year’s parade. Wednesday, June 22, 6:00- 9:00 P.M. The Stonewall Reception began as a few friends coming together to enjoy the arts during the week of St. Pete Pride, but now it has become the best way to launch you into a Pride state of mind. So get dressed up and come be fancy at the Museum of Fine Arts. Enjoy open premium bar and light hors d’oeuvres. Tickets are $30. Thursday, June 23, 6:30- 8:30 P.M.
Join Macy’s at the Tyrone Square Mall as they show you the hottest fashions for the summer and fill you in on what everyone will be wearing this Pride season. Come out and enjoy the live music, fashion show and refreshments. Thursday, June 23, 8:00- 10:00 P.M.
After getting your fashionista groove on at the Tyrone Square Mall, get to the Castile Bar on Hotel Zamora’s rooftop on St. Pete Beach for the Pride Kickoff Party. You’ll feel like Joan Collins on the set of Dynasty as you peer off into the beautiful gulf; waves crashing, the stars shining and the sea breeze blowing through your hair. This is a free event, so come enjoy the live entertainment and Cabana Boy cocktails you divas you. Friday, June 24, 7:00- 11:00 P.M.
What’s better than a nighttime street concert in the world’s greatest city? A concert that will also help the community. Proceeds will benefit the St. Pete Pride Community Grants Program, meaning every cent raised will go to Tampa Bay area non-profit groups that are helping build up the community. So get those dancing shoes on and grab your beau or gal (or both) and see local legends DJ L-Mo, Karmic Tattoo and Jennifer Real entertain before Deborah Cox takes the stage for a sizzling hot concert. General admission is free, but since this is a charity concert, make a donation if you can. A Pit Pass for $20 will put you up front at the stage. Saturday, June 25, 7:30- 11:00 A.M.
Have you ever been to a Pride event and thought, “This is amazing, but what I could really use is an early morning run?” If so, we say, REALLY? But then we say, “Good for you!” For those who fall into that category, St. Pete Pride will have the annual Pride 5K in Gulfport. The race will be followed by a Finish Line Party featuring live entertainment and top-performer awards. Entrance fee is $25. Saturday, June 25, 5:00- 11:00 P.M. This is the big daddy of the week, the St. Pete Pride Parade. The block party will kickoff at 5:00 p.m. with the parade starting at sunset. This nighttime parade will feature more than 150 organizations with over 4,500 marchers all dolled up in lights and floats, tossing beads to the spectators in the Historic Kenwood neighborhood and Grand Central District. The parade route will stay the same as in years past starting in the lot next the Metro and travelling down Central Ave from 30th Street to 22nd Street. For premium viewing, check into getting a Glamstand seat in front of Bandit Coffee Company starting at $40. Sunday, June 26, 11:00 A.M.- 6:00 P.M.
After last year’s epic run, the festival length is expanding another block and will now feature over 350 exhibitors on both sides of Central Avenue, reaching from 27th Street down to 22nd Street. And believe us y’all, this festival has everything: food, drinks, clothes, souvenirs, organizations and churches passing out information, adult stuff, legal advice – the list goes on and on. Come out and mingle with the community and celebrate your Pride. St. Pete Pride has many other events going on to celebrate Pride throughout the month of June, including sports events, pool parties, after parties and more. You can find a full list of the events at StPetePride.com/2016EventListing.